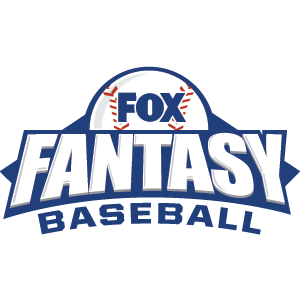 Playing daily fantasy football in week 10 of the 2016 NFL Season? Read these DFS suggestions before you set your FanDuel or Draft Kings lineup. Week 9 was another solid week for the picks featured in my article. Sometimes my initial look at a slate of games just immediately throws me some picks and last week I just went ahead and jumped on those. 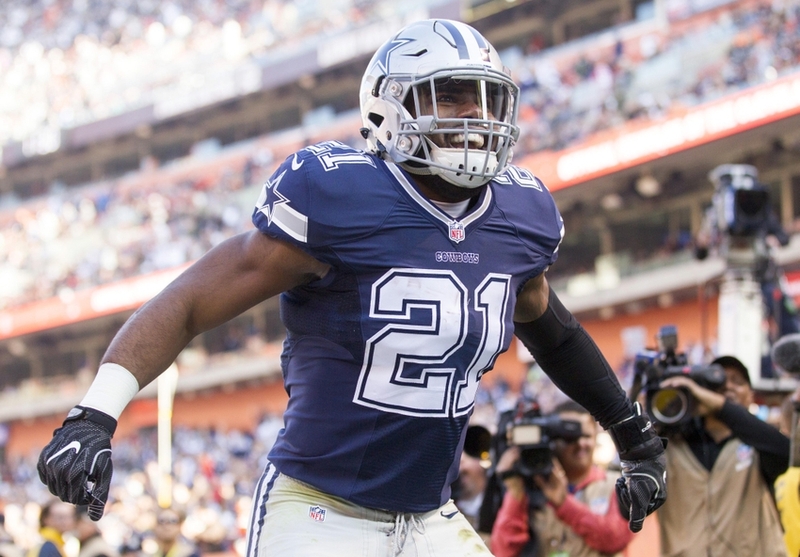 I felt like Ezekiel Elliott was a can’t miss at RB, I liked Colin Kaepernick against a bad Saints defense, and I expected Dak Prescott to be great in that same game as Elliott. All three of those picks ended up being solid and proved what has been a constant this season, target QB’s and basically everyone against the Browns while the Saints cannot stop anyone. This week we get Trevor Siemien taking on this Saints secondary and this will truly put that theory to the test. I don’t know that I can go that route this week as I really don’t think Siemien is that great of a QB. Having said that, I don’t think Kaepernick is good either, so who knows. This week we had the Browns play on Thursday night and there is no game in London, so we have a pretty deep field of games to look at this week. Let’s get right into it and take a look at the picks for this week. 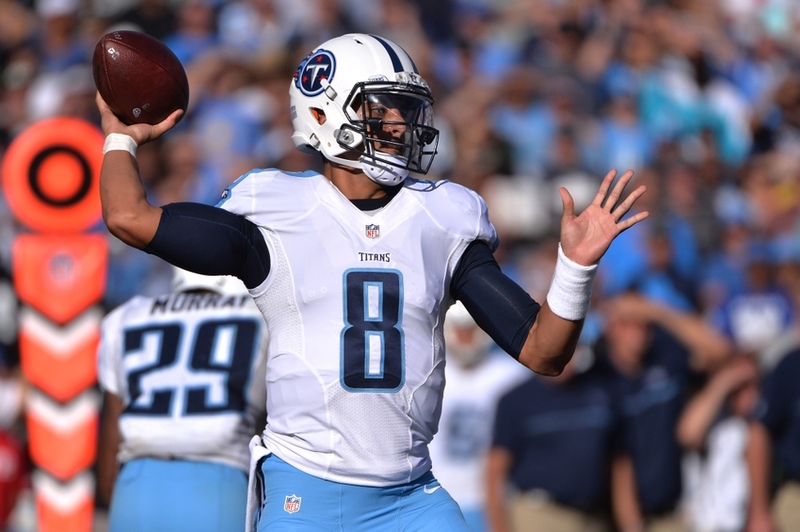 DISCLAIMER – Salary cap numbers are based on FanDuel’s pricing for this week. Aaron Rodgers ($9000) Packers vs. Titans – I know Rodgers is the highest QB on the week and its not going out on a limb to recommend him again this week. However, this Green Bay offense right now has just completely given up on their running game and let Rodgers go wild. You saw it last week, even in a game where the Packers offense looked terrible and the Colts made it tough on them, Rodgers ended up with 27 points on FanDuel. The Titans are currently ranked 20th against the pass and I don’t see any reason why the Packers will make a big shift in their game plan, even with James Starks potentially coming back. Rodgers has also started to run a big more, adding over 100 total yards in the past two games. Carson Palmer ($7900) Cardinals vs. 49ers – Again I am back to Palmer in a wonderful match up against another one of the worst defenses in football this season. The beautiful thing with Palmer this season is that very few people give him respect and very few people click on that name when building their lineups. If you look at the numbers, the 49ers are only allowing 235 passing yards per game, which puts them 11th best in football. However, they are absolutely atrocious against the run which just means they have to pick their poison. When opponents are gaining nearly 200 yards a game on the ground, why throw the ball? 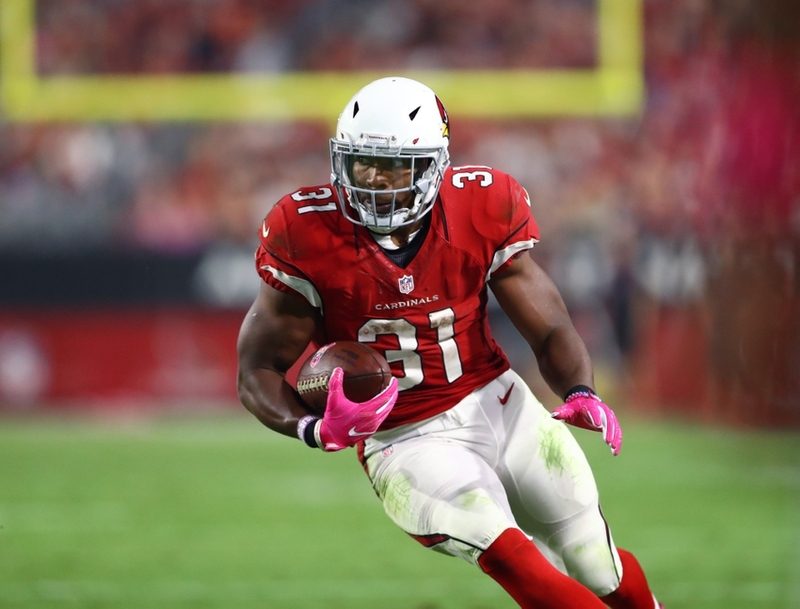 With David Johnson being such a dynamic back and one of the best in football, I think the 49ers might at least attempt to give him a bit more attention than a normal running back. The thing I like here is that the Cardinals do like to throw the ball in the red zone and there is no doubt they are going to score a ton of points. 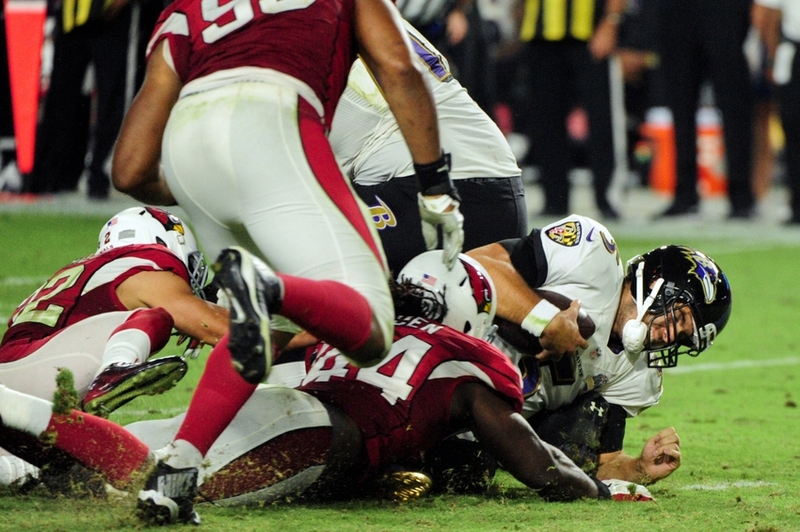 Palmer might only throw for 200 yards, but could easily get 3 or 4 touchdowns to go with it. Carson Wentz ($6800) Eagles vs. Falcons – The shine has worn off on Wentz after a fantastic start to his career in Philadelphia, who have now lost 4 of their past five games. Wentz hasn’t stopped throwing in their last two games, compiling 90 passes attempts while having only 1 of those go for a touchdown. No surprise, his price has come way down and now he gets a match up that he should be able to excel in. It will take some stones to go this route, but the Falcons have allowed more fantasy points to the quarterback position than any other team in football. They are allowing 290 yards a game and with the strength of their offense, Wentz might be playing catch up and airing it out 50 times. 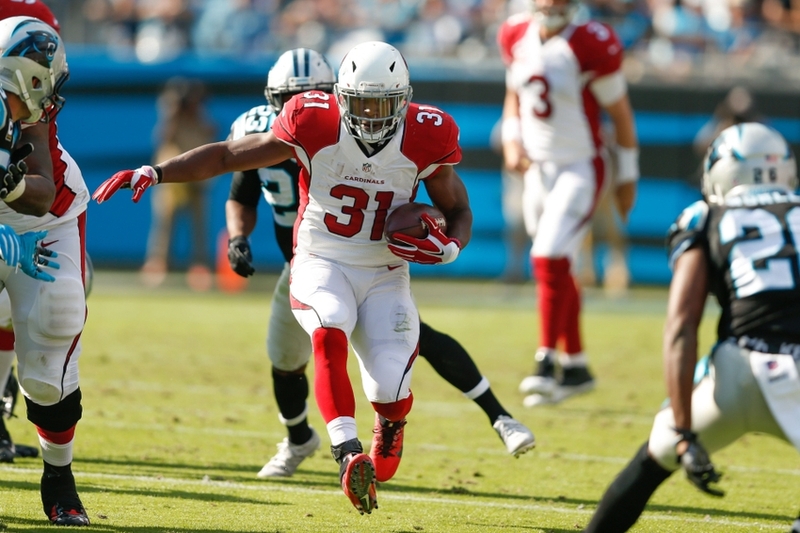 David Johnson ($9400) Cardinals vs. 49ers – If you start digging around the internet and reading any daily fantasy articles for this week, you will see David Johnson as the top play in nearly every single one of them. Does that mean I need to go a different route and try to tell you to stay away from Johnson when he so clearly has the absolute best possible match up? I can’t really do it as I think its a pretty safe bet that Johnson goes absolutely nuts this week and is a not a guy you should fade. Like I mentioned earlier, the 49ers are giving up nearly 200 yards a game on the ground. Johnson should run all over them this week and also is such a dynamic running back, having added 35 receptions already this season. I really just don’t think you can miss with this one, use him this week. Melvin Gordon ($8300) Chargers vs. Dolphins – A stat that has quietly been lost in the shuffle this season has been the rushing defense of the Miami Dolphins, who I only could assume had a strong front line. They are currently 30th in football against the run this season, a number that I certainly did not expect. Gordon obviously is coming off the best game of his entire career, which typically would be a let down spot. However, Gordon has only gotten better each and every week this season and has pretty much been able to find the end zone in every game but one. With the Dolphins struggling against the run, and Gordon really surging at this point in the season, this sets up for another really big game from Gordon. I am not going to predict another 34 point day like last week, but I like him to get 20. Lamar Miller ($7500) Texans @ Jaguars – Miller was a guy that was supposed to be given a heavy workload on his new team this season in Houston. The carries haven’t exactly been there but that has partially been due to Miller battling a number of injuries. Coming off the bye week, I expect Miller to be fresh and ready to carry the ball over 20 times against a Jaguars defense that has completely fallen apart. The coaching staff came out this week stating they still view Miller as their “workhorse” running back and I expect the extra week off to do wonders for him this week. Nobody is talking about him which makes him a nice sneaky play this weekend. 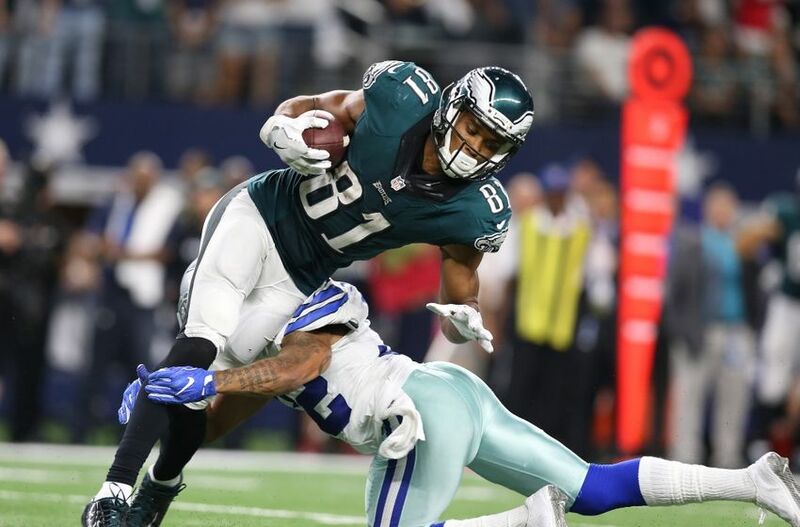 Jordan Matthews ($5900) Eagles vs. Falcons – Like I mentioned above, the Eagles are heading into a potential shoot out with the Falcons in a game that they likely will be forced to throw it a ton. 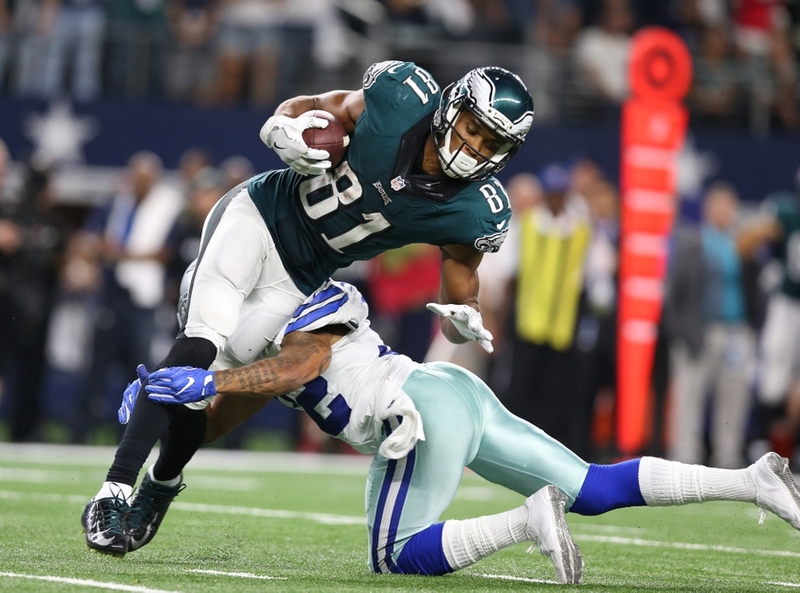 Matthews has been the primary beneficiary of the 90 throws the past two weeks from the Eagles as he has a combined 24 targets the past two games. He has responded catching 17 balls and is clearly the one that Wentz has honed in on the past two weeks when the Eagles have gone pass happy. Emmanuel Sanders ($6900) Broncos @ Saints – The Denver offense gets the treat of heading to the friendly turf in New Orleans in what should be a high scoring affair. I mentioned in that intro that I don’t entirely love Trevor Simien this week, but that doesn’t mean I am completely off this offense and his wide receivers. I think its a near lock that one of these guys has a pretty big week and my pick is Sanders. He has been a little quiet the past few games and his price has started to tumble. At only $6900, you are getting an elite talent in an elite spot, its hard to not like his prospects. 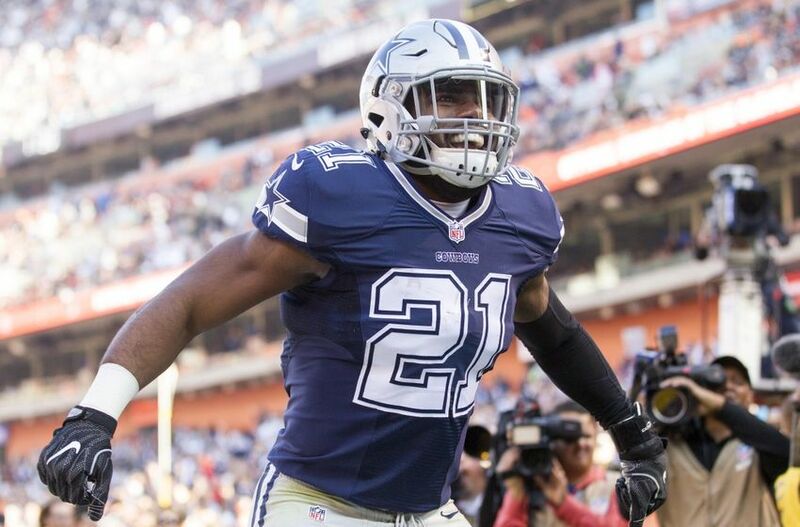 Even with his recent struggles, he still has caught at least 4 balls and had 40 or more yards in 7 straight games and now will face the worst defense they have seen this season. Larry Fitzgerald ($7200) Cardinals vs. 49ers – Much has already been said about the 49ers “defense” in this column that it only makes sense to have some interest in their best receiver. There is a bit of risk in Arizona just going completely run heavy and taking Palmer/Fitzgerald out of the equation However, like I said above, I could see Palmer getting a few short TD’s in the red zone and Fitzgerald is typically his favorite target down there. Fitz hasn’t found the end zone since week 5, I see him ending that streak this week and putting together a solid day. Lance Kendricks ($4500) Rams @ Jets – Kendricks has been awesome the past three weeks following his mini-breakout performance against the Lions, a team that truly cannot defense the TE. He followed that performance up with back to back 7 catch efforts and has clearly gained the trust of QB Case Keenum. The Jets are a defense that has been really tough against the run but struggled against the pass all year. With the Rams best offensive player being their RB Todd Gurley, they are going to need to rely on short passing instead of trying to gain chunks of yards on the ground. 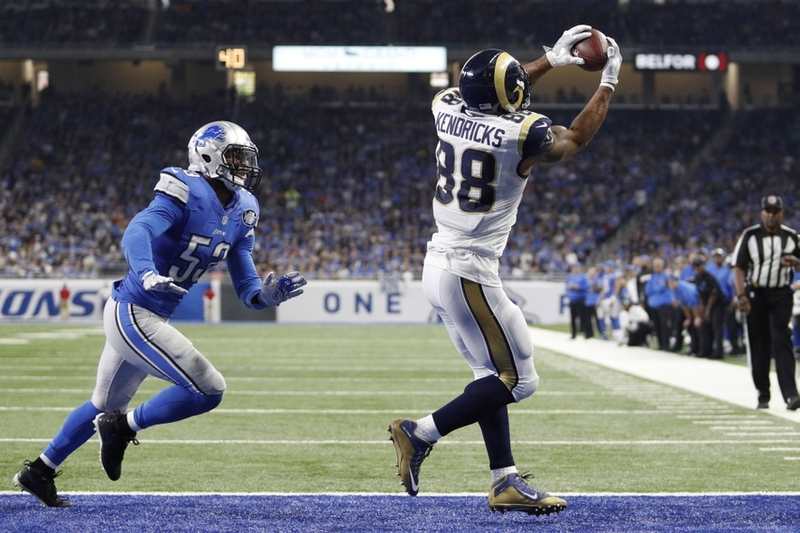 I think Kendicks is in line for another 6 or 7 reception day and is still sitting at minimum salary. He makes for a great value play and allows you to spend up at the positions you are going to need to this week (QB/RB). Travis Kelce ($6400) Chiefs @ Panthers – Kelce kind of woke up finally in week 8 and looked headed towards another great performance last week before being thrown out of the game. He still was able to catch 5 passes for 58 yards, turning in a decent day of production. This week he will see an overrated Panthers secondary while also likely being without the services of Jeremy Maclin, the Chiefs top receiver. I think Kelce puts up another big game this week and as long as he isn’t throwing towels at the officials, should be a great play. For some reason FanDuel still includes the kicker spot while many other daily fantasy sites have dropped it. I will make it simple for you, play a kicker from an offense you like with a salary that works with the rest of your team. Arizona Cardinals ($5200) – Apparently I am going all in on the Cardinals this week in a home matchup with the 49ers. This Cardinals defense hasn’t been quite as good as many expected this season, but still rank in the top 10 in both sacks and takeaways. The 49ers are also in the bottom five when it comes to total turnovers. We saw it last week, Kaepernick still has the tendency to give the ball away and I think the Cardinals completely roll in this game.